Manufacturer of a wide range of products which include fiber laser marking machine, v-lase laser marking system and co2 laser marking system. We are offering the inclusive range Fiber Laser Marking Machines to mark on metals and plastics. It can directly mark on parts & products like automotive parts, engineering & machinery parts, jewellery, etc. Machine comes with 20, 30, 50 , 100 watts options. 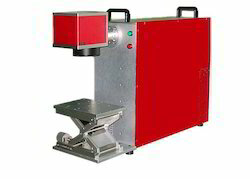 We offer Fiber Laser Marking Machines for Direct Marking on metallic and plastic items such as automotive parts, engineering and machinery parts, tools, jewellery (design & hall marking), etc. You can mark logo, images, automatic serial numbering, bar code and QR code marking, etc directly on your products. We have different laser powers available 20, 30, 50 & 100 watt for marking, engraving and deep engraving applications. 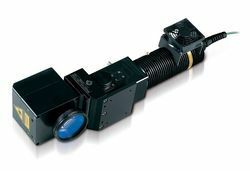 Our rich industry experience in this field enabled us to provide a wide range of V-Lase Laser Marking System to our reputed clients. 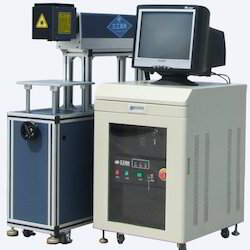 We are offering CO2 Laser Marking System to our clients. Looking for Laser Marking System ?